PETERSBURG, Ky. (AP) — TV's "Science Guy" Bill Nye says there are infinite discoveries yet to be made about the universe and how we got here. Ken Ham, the man Nye traveled to Kentucky to debate Tuesday night, says all those answers are already in the Bible. Over the course of the two-and-a-half hour debate at Kentucky's Creation Museum, both men had plenty to say, but neither left convinced of the other's argument. 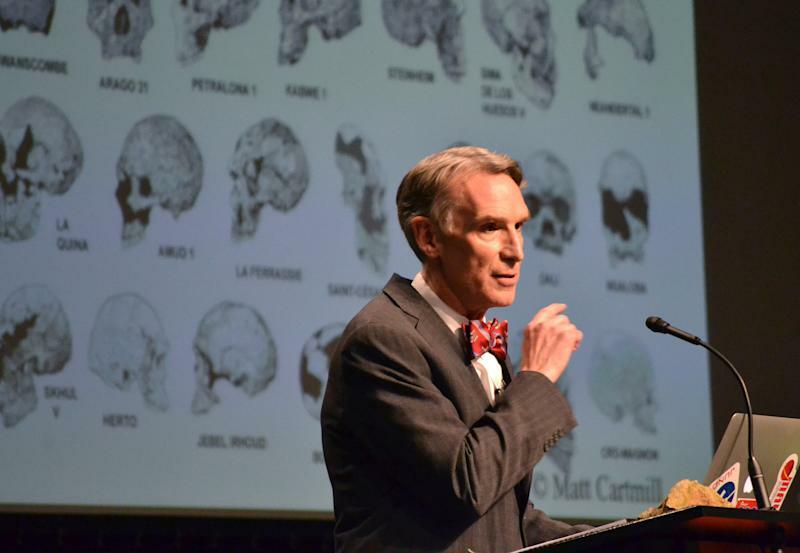 Nye, true to his TV persona, delivered a passionate and animated defense of science and challenged the teachings on display at the museum that the earth is 6,000 years old and man once lived alongside dinosaurs. Nye said scientists can track the age of stars based on their distance from earth. "How could there be billions of stars more distant than 6,000 years, if the world is only 6,000 years old?" Nye asked Ham. After a question from an audience member about where atoms and matter comes from, Nye said scientists are making discoveries on that front every day. Ham, founder of the Creation Musuem, said he already knows the answer. "Bill, I want to tell you, there is a book that tells where atoms come from, and its starts out, 'In the beginning ...,'" Ham said, referring to the Bible's creation story. Ham showed the theater audience of about 800 people — and those watching the debate live on the Internet — slides to back up his assertions. He also introduced scientists who he said were creationists. Regardless of the outcome, the debate was a boon for the museum, which opened in 2007 after being built on $27 million worth of private donations. Ham said his Facebook page on Tuesday had hundreds of thousands of views. 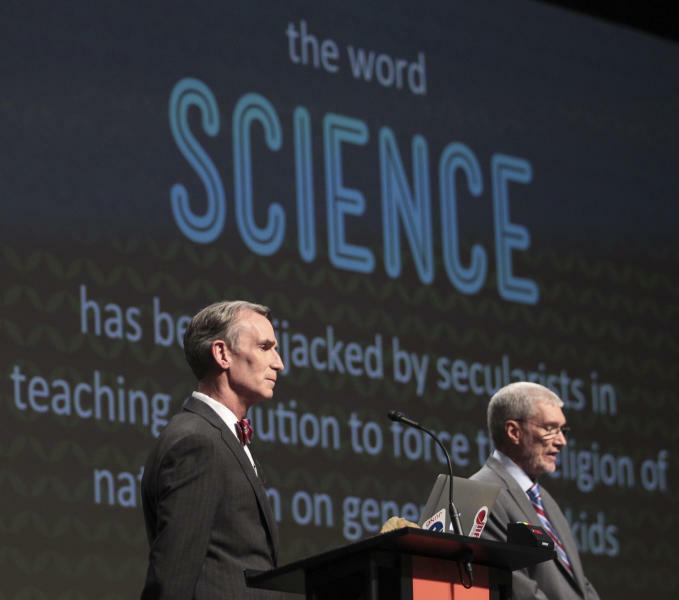 The museum quickly sold out its 800 seats, thanks in part to Nye's celebrity as the former host of "Bill Nye The Science Guy," a 1990s science education TV program that is still played in some classrooms. Some people in the audience wore "Bill Nye is my home boy" T-shirts. A few more fans wore a bow tie and Nye's signature lab coat. Ham believes the Earth was created 6,000 years ago and that the Bible tells the factual account of the universe's beginnings and the creation of humans. Nye said he, and the rest of the scientific community, believe the Earth was created by a big bang billions of years ago and people have evolved over time.